According to the United Nations Environment Programme (UNEP) the cost of climate change impacts could range from US$140 billion to US$300 billion by 2030, and between US$280 billion and US$500 billion by 2050. South Asia in particular could lose nearly 2% of its GDP by 2050. Therefore, around US$ 500 billion will be needed for climate change adaptation by 2050, and public finances will form a crucial part of that picture. International climate finance mechanisms have so far fallen short of delivering the necessary resources to tackle climate change and are unlikely to deliver all that is needed in the near future as well. This is especially true of adaptation finance, which remains severely underfunded putting many people and critical infrastructure at risk. Governments will have to mobilise their own fiscal resources and go beyond donor funding to reach their development goals. To ensure this, a new framework that helps governments mainstream spending on climate adaptation into domestic budgets, has been successfully implemented in five South Asian countries (Bangladesh, Nepal, Pakistan, Philippines and Thailand). The Financing Framework for Resilient Growth (FFRG) can help countries around the world improve how they fund climate resilience building through public finance. The FFRG provides a way to estimate the economic cost of climate change damages, quantify current expenditure on adaptation, and track it through departmental budgets. The Action on Climate Today (ACT) programme has devised and tested this framework that enables governments to integrate climate change adaptation and resilience into their plans, policies, and budgets at the national and subnational level. For example, in Bihar, India, ACT reviewed 787 budget lines which are relevant for climate change and used the FFRG to estimate that $145 million worth of the total ‘benefits’ from this expenditure are tackling the impacts of climate change through enabling adaptation. This provides an effective baseline against which to measure an increase in funding year on year or hold the government to account should expenditure dip. Read the full ACT learning paper “Mainstreaming, accessing and institutionalising finance for climate change adaptation” and an insight note based on the Framework for Resilient Growth methodology. Can be accessed here. ACT (Action on Climate Today) is an initiative funded with UK aid from the UK government and managed by Oxford Policy Management. 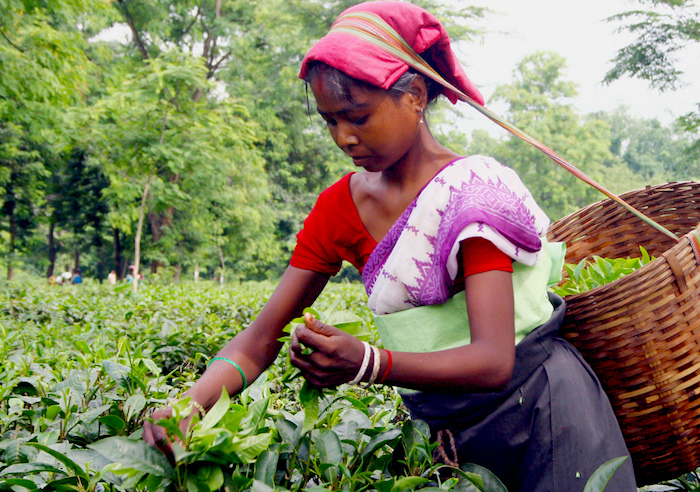 Cover photo by Diganta Talukdar/Flickr (CC BY 2.0): Woman plucking tea leaves in Amluckee Tea Estate in Amoni in Nagaon district.